Stylish. Safe. Technologically advanced. The 2018 Dodge Journey is serving excitement and spice with a dash of attitude, and it’s available now at Landers Chrysler Dodge Jeep Ram of Norman. The spacious SUV is both rugged and comfortable with the latest technology and cargo space out the wazoo. The newest Journey was designed with adventure in mind, and it takes convenience to the next level. Landers CDJR of Norman customers come in from across the Oklahoma City metro, including Edmond, Moore, Midwest City, Yukon and Del City. Appease your curiosity and come see the 2018 Dodge Journey in person today. 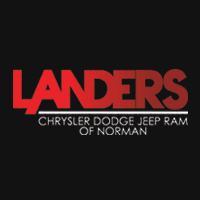 Learn more about Landers Chrysler Dodge Jeep Ram of Norman. The 2018 Dodge Journey is one good-looking SUV. The Journey is set apart by unique features like the distinctive front fascia, iconic crosshair grille and sculpted fender flares. You can customize your Journey with additions like the available black headlamp bezels, available dual bright exhaust tips and platinum chrome accents. However you choose to dress your Journey, you can count on making a statement as you drive down the street. The interior is even more impressive, featuring soft-touch surfaces and three rows of cozy seating. You’ll definitely never run out of storage, because the 2018 Journey has creative storage solutions like we’ve never seen before. It includes in-floor cargo areas, an in-floor cooler, fold-flat seats and secret compartments throughout the vehicle. Now you can stay in sync with your Journey more than ever before with technology features that keep you connected. The available Uconnect 3 with an 8.4-inch touchscreen gives you minute-by-minute updates with the information you need during any road trip, even if it’s just a few miles down the street. In addition to real-time traffic updates, you get live weather updates, movie showtimes, sports scores, gas station locations and more. To keep your backseat passengers entertained, you can get the available Rear Seat Video Group. Your passengers can watch movies or play video games on a 9-inch screen that flips down from the overhead console in the second row. Oh, and don’t worry. The Journey has your back with available features like a Wi-Fi hotspot, Bluetooth streaming audio, USB and auxiliary inputs and power outlets. There are a lot of incredible things about the 2018 Dodge Journey, but the SUV’s number one priority is your safety. They thought of just about everything to help keep you safe and make sure you’re covered no matter what happens. The ParkSense Rear Park Assist System, featuring a rear backup camera, makes it a whole lot easier to back up and parallel park, among other things. It takes the guesswork out of it, so you always know exactly what you’re doing and what’s behind you. Hopefully you can avoid one altogether, but in the event of an accident, the Journey makes sure that every passenger is protected. The protective frame can handle greater loads and deliver more effective energy management during impact, while the active front seat head restraints move during a collision to decrease the space between your head and headrest. Add in seven advanced airbags and specially designed crumple zones and you can drive anywhere with confidence. 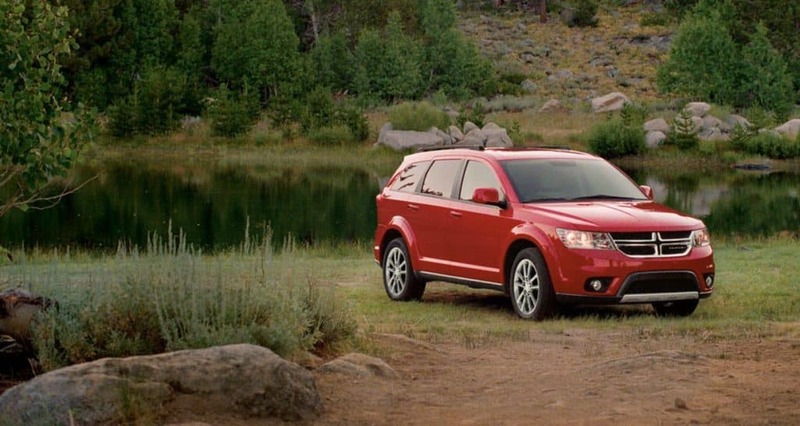 The 2018 Dodge Journey is a vehicle you have to experience for yourself. Landers Chrysler Dodge Jeep Ram of Norman is the perfect place to get behind the wheel. Come see us to take one for a test drive or check out our inventory online. Browse our 2018 Dodge Journey inventory online.